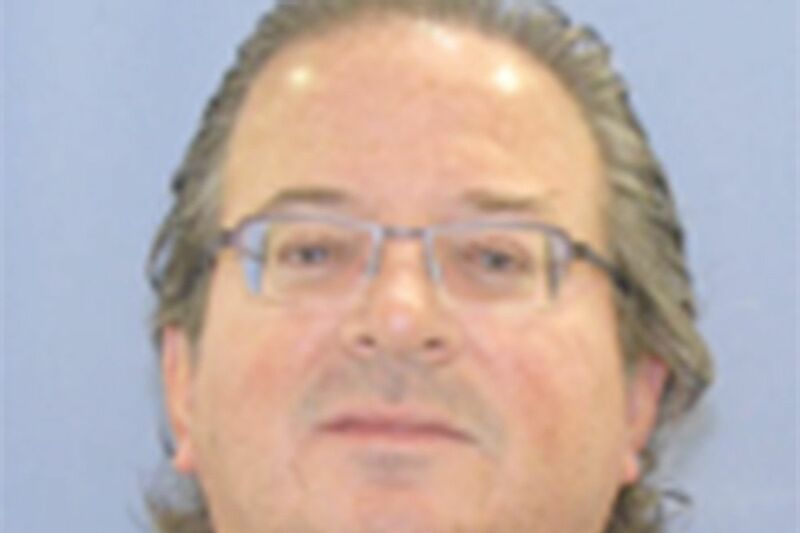 Andrew H. Gaber, 52, was accused of running an insurance fraud ring out of his Center City law office. He committed suicide last week after an initialcourt hearing in which some of his bank accounts were frozen, prosecutors said. District Attorney Seth Williams announced charges Wednesday against 46 people in what prosecutors say was a seven-year scheme that used staged slip-and-fall accidents to defraud 21 insurance companies out of nearly $400,000. Attorney Andrew H. Gaber, 52, was accused of running the operation out of his Center City law office, where he was the sole practitioner. Gaber, of Delaware County, was scheduled to be arrested Wednesday but committed suicide last week after an initial court proceeding in which some of his bank accounts were frozen, prosecutors said. The lawyer allegedly trained "runners" to recognize what constituted a good personal-injury claim. Prosecutors said the group carefully chose sidewalks with not-too-obvious defects in well-insured neighborhoods to stage the accidents. "There was even a ruler in the office of Mr. Gaber so that the runners could have an idea of what type of defect or how large the defect – the crack, if you will – in the pavement should be to help make a good case," Williams said. Gaber paid the "runners" $100 to $500 for bringing in or referring a claim, according to investigators. Williams said they often recruited homeless people and instructed them to stage falls at particular locations, call 911, lie about their injuries to medics, and seek hospital treatment. According to a grand jury presentment, Gaber told one such claimant to "go to expensive white neighborhoods around 22nd Street near Spruce and Arch streets" and look for uneven pavement. Gaber allegedly told another claimant that he'd pay extra for SEPTA-referred claims, though prosecutors said he soured on the agency after surveillance cameras were installed throughout its transit lines. Gaber was accused of filing bogus insurance claims supported by medical records, witness statements, purported fall-spot photographs, and fire rescue or ambulance records. Prosecutors said the claimants received a portion of the cash settlements paid out by insurance companies – less Gaber's 40 percent fee. As the scheme progressed, the claimants would allegedly move up in the reputed pyramid ring, eventually becoming "runners" themselves. Ninety-five percent of the cases overseen by the Gaber's firm were brought in by "runners," according to prosecutors. Some of them allegedly referred more than 50 cases each during a three-year span. Evidence showed the "runners" brought in 43 fictitious claims, officials said. Gaber allegedly settled 24 of the claims for about $382,900. Gaber's attorney did not immediately return a request for comment Wednesday evening. Investigators with the Philadelphia District Attorney's Insurance Fraud Unit caught onto the scheme after noticing a pattern among personal-injury patients Gaber represented. Prosecutors said they were also tipped off by neighborhood groups, particularly in Southwest Center City, that noticed area homeowners were being hit with similar slip-and-fall claims and discussed their suspicions at community meetings. As of Wednesday, 22 people had been arrested and charged with insurance fraud and related crimes in relation to the alleged scheme. Multiple defendants were also charged with conspiracy, corrupt organizations and theft by deception. "We know that, if you intentionally lie on a claim with the hope of receiving money, then you can be charged with a felony – that's insurance fraud," Assistant District Attorney Linda Montag said. "This was larger than that. This was conspiracy. This was a corrupt organization." Of those arrested, 19 cases have been disposed, with 15 defendants pleading guilty and four being accepted into diversionary programs. Three people are scheduled to enter guilty pleas in upcoming hearings. Investigators are in the process of tracking down an additional 24 people who have been charged by grand jury indictment with allegedly participating in the fraud. Williams said that in all of the cases resulting in arrest or indictment, either the claimant or the "runner" confessed to the scheme. "So we fully expect that Mr. Gaber's entire enterprise, a significant percentage of his cases, were all fraudulent claims such as this," Williams said. "But these were the ones in which we actually had someone confess to their guilt."